The Abide Brewing Company in Newnan, Georgia is the very definition of the word small. In fact, Abide is the smallest Nano Brewery in Georgia and opens only a few days a month for tours and sampling. Started by local home brewers Matthew Kapusta, Evan Scanlan, and Philip Leonard, Abide brewing is focused on Ales and other comfort beers that will appeal to mainstream beer aficionados. Their year ’round offerings are all ales with ABVs ranging from 5.2% to 6%, including the Local Pale Ale, Coweta Common Ale, Brown’s Mill Brown Ale, and Asian Persuasion Ale. Several rotating seasonal beers of various varieties are available periodically. 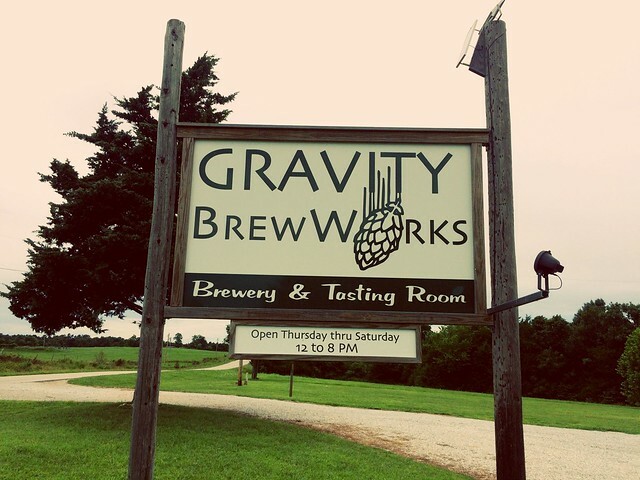 It’s called the Gravity BrewWorks and it’s located at 11512 Highway 14 East in Big Flat, Arkansas. The address, however, can be a bit deceiving. This nano-brewery in north central Arkansas is WAY off the beaten path.